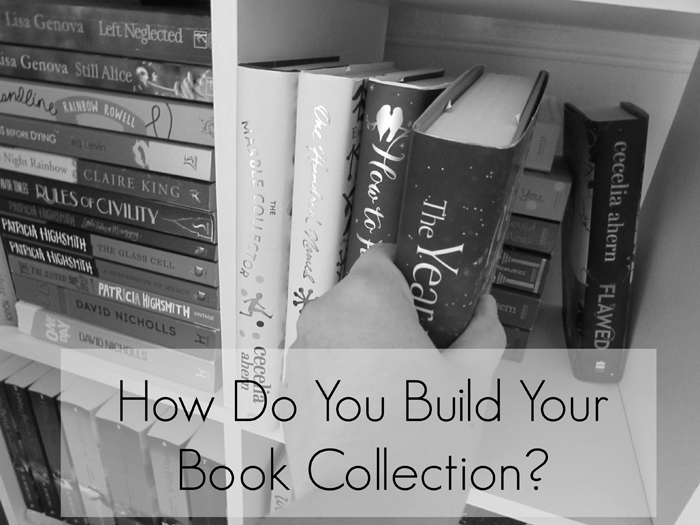 How Do You Build Your Book Collection? A book collection is a very personable thing. The books we own, collect, and keep, can say a lot about us as people, and individually we all go about the way we curate our collections in different ways. Over the years the way in which I build my book collection has changed; to begin with this shift was due to surroundings, but has ultimately transitioned into a mind set. The collection of books I own now is without a doubt half the size it was say five years ago, and it's very much a quality over quantity situation. From a young age, the books we read were borrowed from the library. Whilst we didn't have a lot of disposable income, there was no shortage of books. I was constantly borrowing books from the school library, and my sister and I visited the mobile library at the end of the road once every month. I fondly remember World Book Day rolling around each year in school, and I'd be one of the first to get the catalogue in order to peruse potential bookish purchases come the day. As I grew older, becoming a teenager, my love of books remained and I would often borrow books from my mum's limited collection - there was a good amount of crime fiction and Stephen King. I mean, I don't know if I should have been reading those in my early to mid teens, but hey! With my teenage years came an increase in pocket money/allowance, and my book collection began. When I started buying my own books, there was a thirst to read - I spent the majority of my money on books and also asked for them (or vouchers for books) as birthday and Christmas presents. This is when my very own book collection began. I remember when my book count exceeded that of my mum's collection, and for some reason that made me very happy. Naturally when I started working, and truly earning my own money, my collection increased further, to the point that they no longer fit on my little three shelf unit and were overflowing in to boxes (because along with lack of disposable income, we also had a lack of disposable space in our house). Yet despite the size of my collection, I refused to part with any of my books. I kept every single book I ever owned, and I constantly reread. When I started building my own book collection, for one reason or another, I kind of fell out of using the library - I suppose there's just a different attachment to a book when you personally own it. As life situations shifted, and I found myself in even smaller accommodation to that of my room in our family home, I knew I had to do some downsizing on my book collection. The way in which I went about this process was by getting rid of any books I had never reread, nor had any intention of rereading in the future. I no longer had bookshelves, with my books having to be stored in big plastic storage boxes, and I began visiting the library in my adult lifetime. Seriously, until this life shift, I didn't even own a valid library card as I hadn't visited since childhood! I would like to say this is where my 'minimal' book collection began, and continued, but that would in fact be incorrect. When I started working in a department store on a local high street with a truly wonderful bookstore just across the road, you know damage was done to my bank account and my book collection grew - fast! I still had the minimal space in which to store books, but plastic storage boxes are easily stackable, and so my collection of boxes grew also. And once again, as time passed, my life situation changed once more with a move across the country, shortly followed by another move across the country, and in this time I started the process (slowly) of building my collection to what it is today. Currently, I have a 'if I won't return to it, it'll be donated' policy. I'm constantly weeding through the books that I own, and this year I put in place a book buying policy in which I only permit myself to buying four books a month - so far, this is going really well. I'm still very much a rereader, and the books I own are well loved. My relationship with the library is very much an on and off thing, but this is set to change, especially with a new book buying policy being implemented come the new year. I feel comfortable and happy with the amount of books I own, and perhaps even more importantly, I feel comfortable with the amount of unread books I own - at one point the books I owned but had not read were a stress to me, not a manageable objective like they are now. I'm happy with the books I own, I'm happy with my book storage (they are no longer in boxes - yay! ), and I am happy with my mind set regarding the growth of my collection. At one point in my life I think it was apparent that amassing books made me happy, but now I know that I don't need to amass books in order to enjoy, explore and experience the vast variety of books that are out there. Quite simply, I don't need to own all the books! I originally started writing this post as a little discussion piece, keen to hear how you grow your collection, and I am still keen to hear that, but if you've gotten this far I just want to say thank you! Because this post ended up being a rambly old thing detailing my life's book buying history! How do you curate your own book collection? Has it shifted over time? The used bookstore is my best friend. If I don’t love a book or don’t see myself rereading it, I take it to the used bookstore and trade it for something else. Most of the books in my collection are used and ugly, but I love them. That seems like a great system you've got going there, AJ! I wish we had more, or even any, used bookstores local to me. Haha! I'm sure they aren't ugly - they have character of their own! My biggest problem is curtailing the books before they take over the house! Nowadays I buy less books and use the library more. And I often giveaway books after I've read them, if I don't think I'll read them again. Otherwise as the years roll buy, it becomes too hard to store them all! Haha - I know that feeling! I think we have quite similar methods, Trish. I'm trying to get in the habit of using the library a lot more now though - I go through phases. Passing on books you know you won't read again is great, because the next owner of the book may have just found their new favourite read! I think it's great that you recognised your book buying method wasn't entirely working for you, and have now discovered a new way to love and enjoy books. I used to be a big Kindle reader, and I do still occasionally read in that way, but not nearly as much as I once did. Also, I love how you support those authors further by purchasing a print copy with favourites. I mostly read ebooks so there is that. I also borrow a lot from the library. However since blogging I have dramatically increased the amount of physical books I have - some I bought, some I won, some are ARCs. I am weird in that I will give them away when I am done with them unless they are signed. I just never feel the need to hold on to them. I am weird I know!! Agreed! I try to limit my purchases to begin with. Whenever my bookshelves start to look a little crammed, I know it's time to pass some books on to our local Little Free Library or donate to our library book sale. They can so easily get out of control, can't they?! Limiting the amount of books I buy has been really helpful, and putting a cap on the amount of books per month (and sticking to it) has been a lot easier than I thought... So much so that I'll be challenging myself even more come the new year. The Little Free Library and even library book sales aren't really common here, and although you an donate good condition books to the library, I tend to just donate them to a local charity shop. It makes sense only to buy the books you know will be loved and treasured... For some that can mean just the one read, but admired from afar, but for people like us that means plenty of rereading! 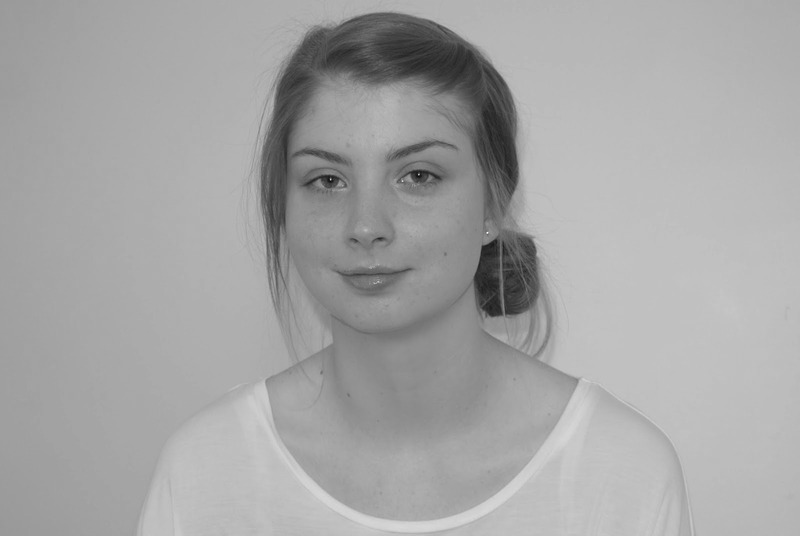 I've also gone through phases. Most recently, I did a lot of culling and have tried very hard to be more thoughtful about what I add to our home collection. I've gone a little overboard with children's books and classics lately, I must admit. I like the idea of having all these books for my son -- and for me since so many I have not read myself! I feel like there is such a wealth of children's books, but I am starting to wonder if my collection is getting unrealistic again! Oh, I totally get you on the children's book front, Christine! Alexander has so many books, and at one point it was bordering on matching my own collection in size! I've really decreased the amount of books I buy for him, and just make use of the library a whole lot more when it comes to books for him - we make a weekly trip. It's so easy to buy all the books for children - not only because we want them to enjoy and broaden their horizons, but because there are so many out there, and quite frankly, a lot of the stories are so wonderfully told! Great topic to think about! When I was younger I also went to the library a lot but then it stopped as I grew older. Mostly because I prefer reading in English and the English selection in our Belgian libraries is not very big. So I end up buying and I have amassed quiet a selection by now that I weed out every now and then. Like you, anything that I don't think I'll ever reread or even like have to go. However, I'm still looking into buying more eBooks, because they are cheaper and take up less space. And sometimes borrowing from a friend comes in handy too! Ah, see now in your situation I think it makes total sense why your collection grew. And it's great that you weed through your collection regularly, as opposed to keeping all the books you've ever read. eBooks are becoming the savvy way to read really; with lower costs and less physical space required.